Basket patterns have historically been a favorite of quilters. Many of these patterns celebrate giving and friendship. This particular basket design is rarely seen. However, it is similar to a basket design published in The American Farmer, April 1895, simply named Basket Quilt. 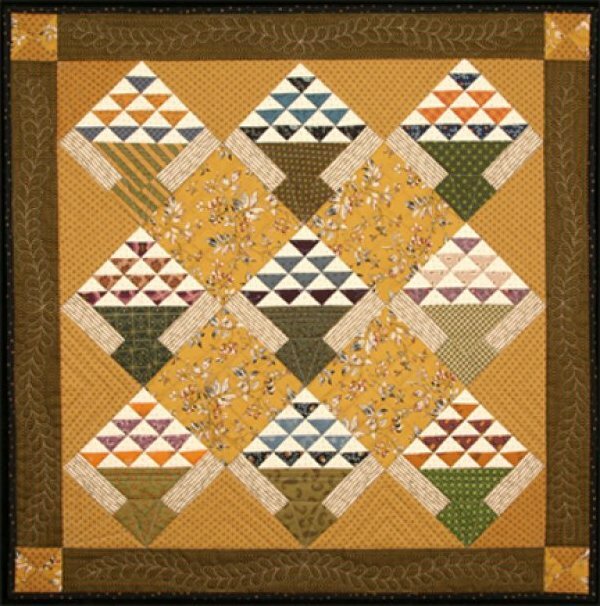 The use of triangle paper will make this quilt a snap to complete.